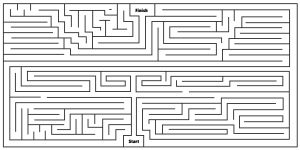 This new maze is a general multicursal maze with a hint of a four quadrant labyrinth. A forced path is designed into the maze through a step effect the upper corners. 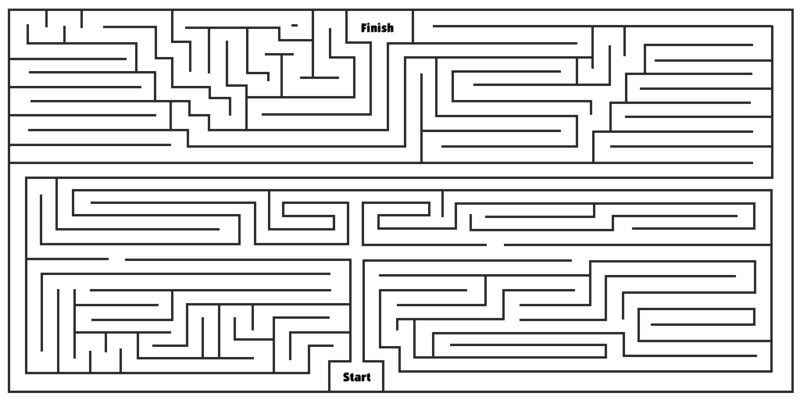 On the website, this is a finger/mouse/stylus style maze. Hope you have fun getting from start to finish!